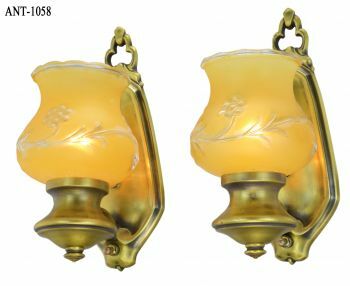 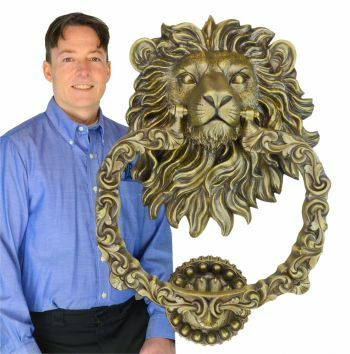 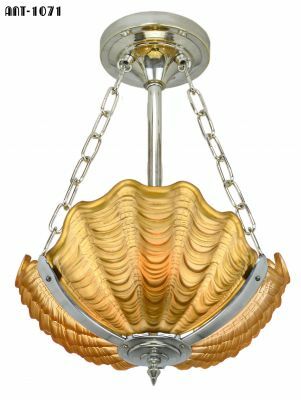 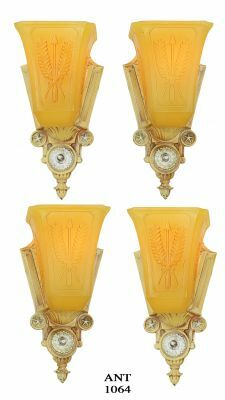 We have SIX sconces....( 3 pairs ) of these sconces. 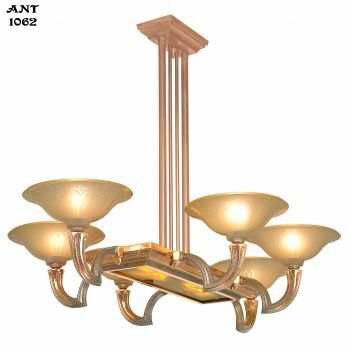 They vary just a mite for condition but not enough to really be specified when spaced in a normal installation. 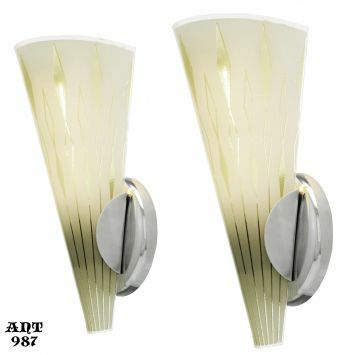 These are nice modernist pair of Mid-Century-Modern wall sconces. 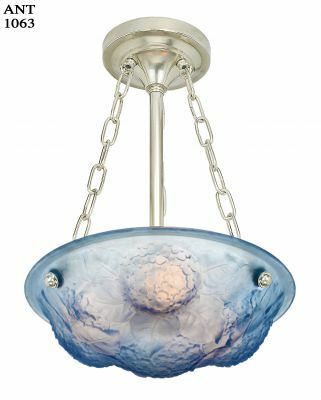 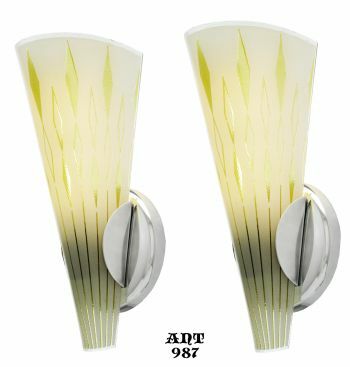 The bases are plated and the conical square slip shades are nicely diamond decal glassware on a frosted background. 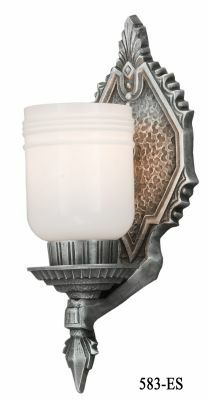 This gives off a subtle effect when lit. 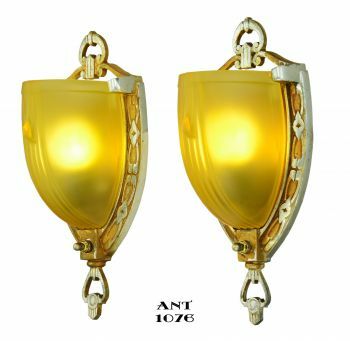 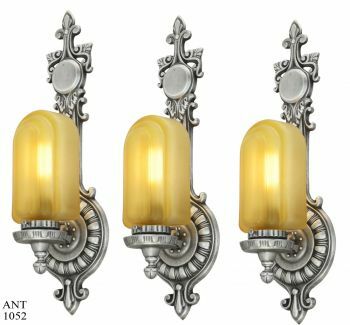 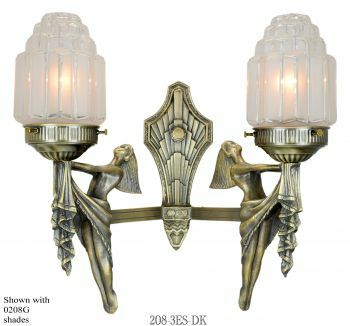 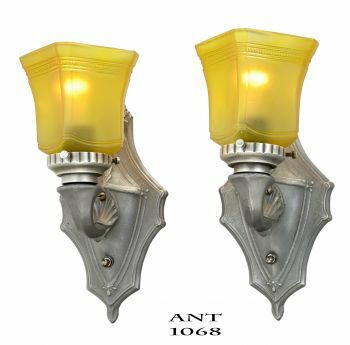 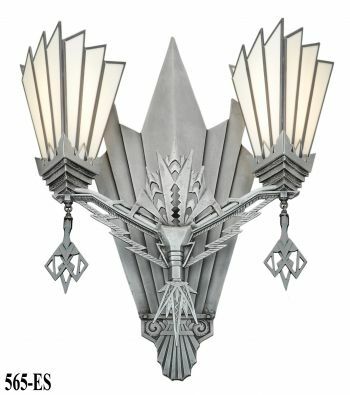 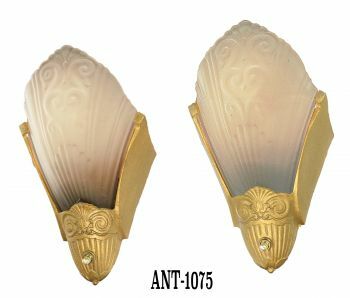 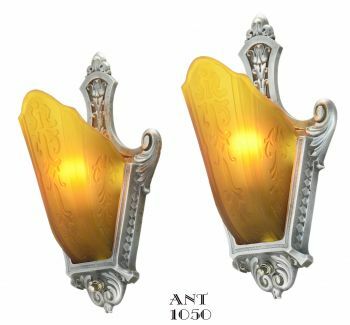 Some of our pictures are better than others in showing the nice-ness of these sconces. 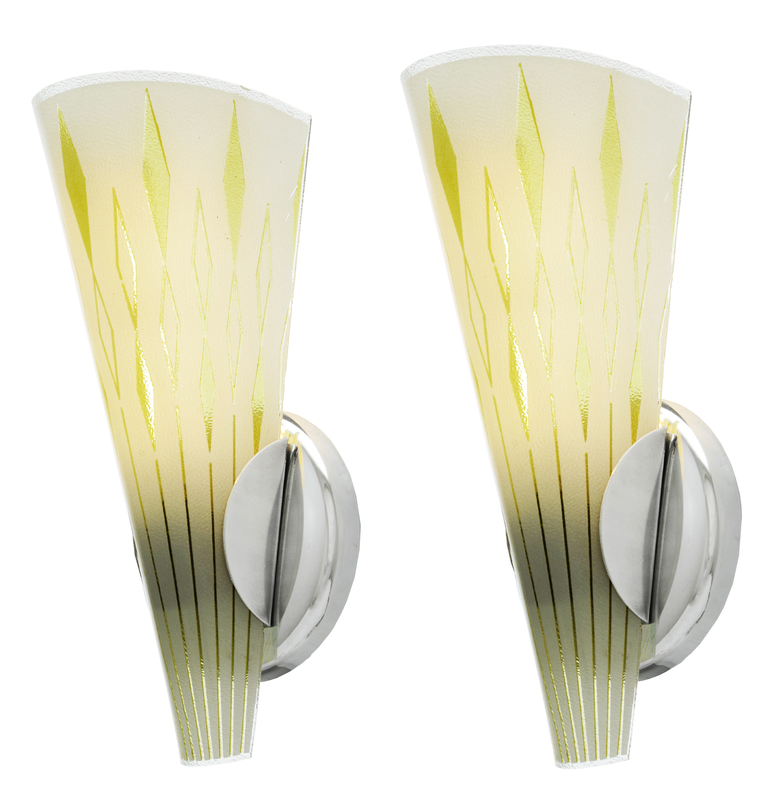 Each socket is fully capable of 100 watt incandescent bulb but we have done a little special here. 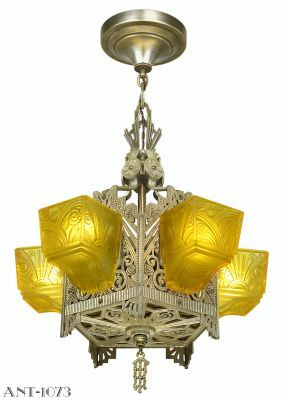 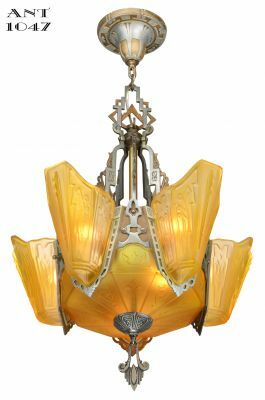 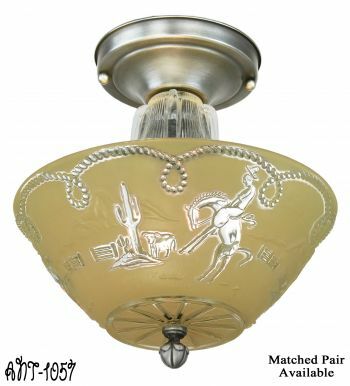 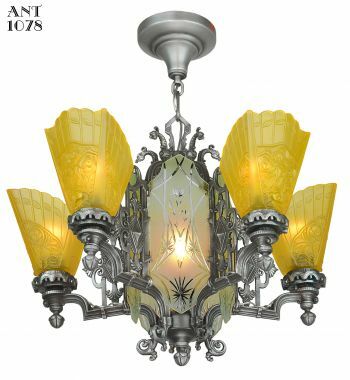 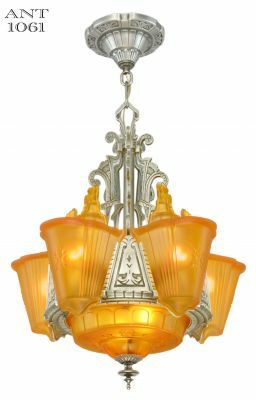 We installed the normal E-26 medium base socket and then installed a simple screw-in adapter for chandelier bulbs. 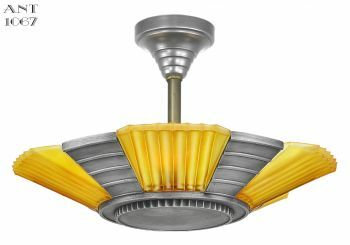 We added our T-6 LED fiber bulb which gives a rather dramatic lighting effect. 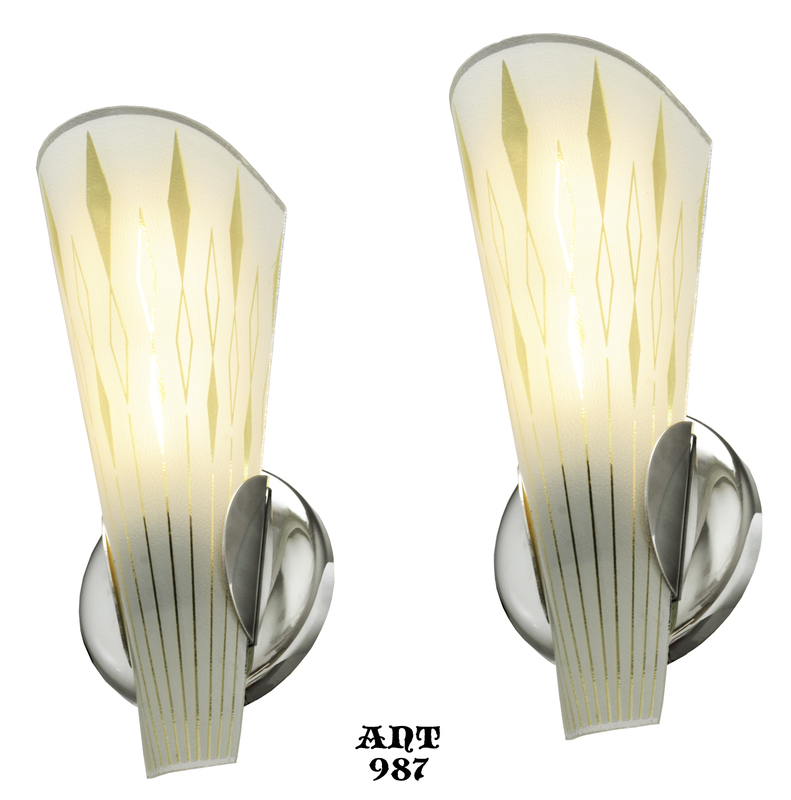 We will give these adapters & bulbs free with each sconce sold. 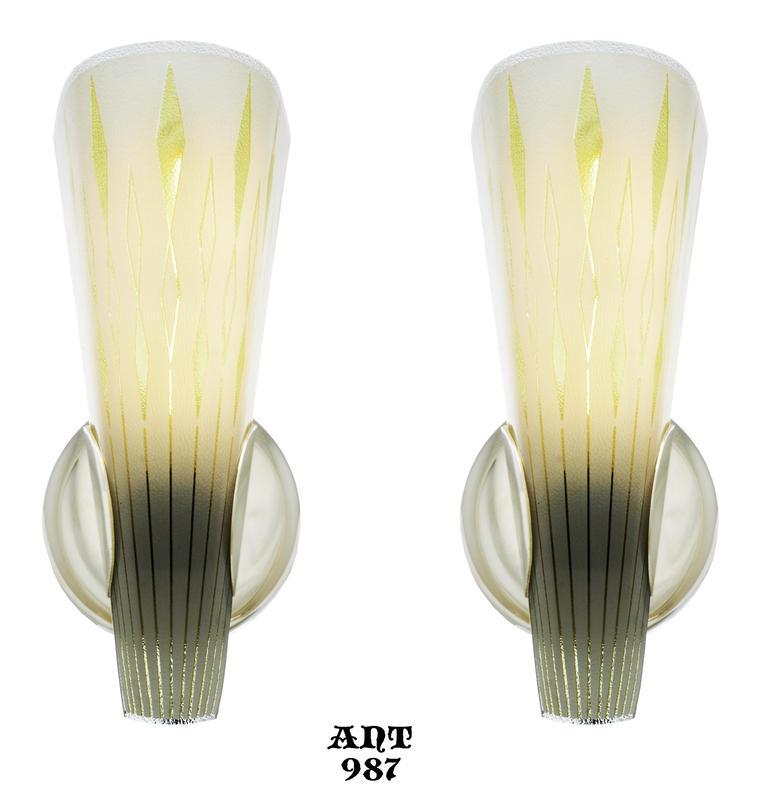 You can continue to use our T-6 bulb..picture supplied...or remove it all and use normal chandelier bulbs...or even T-10 with the removal of the adapter. 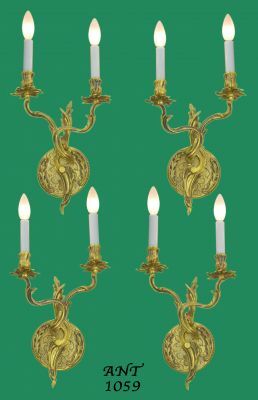 Lots of choices here as to the final desired effect. 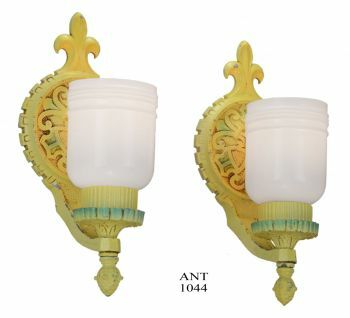 Measurements: 11 1/2" tall, with a width of 5" and a projection into the room of 5 1/2”. 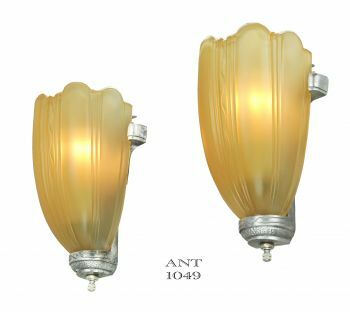 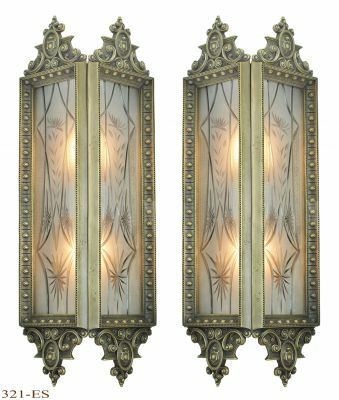 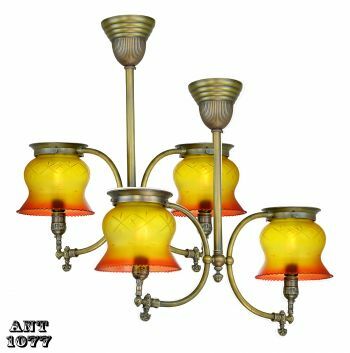 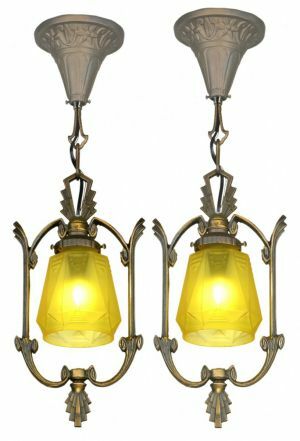 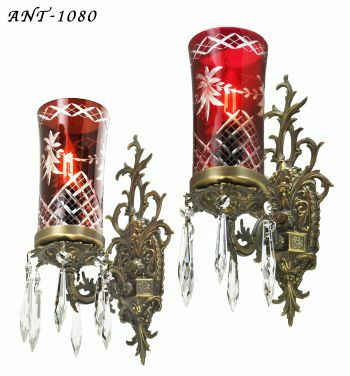 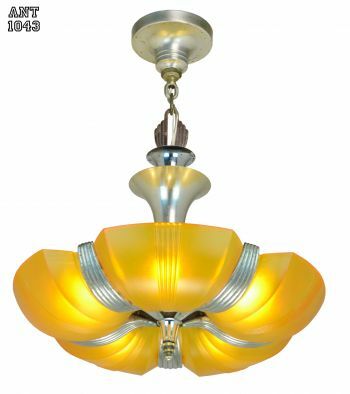 Price: $ 475.00 For EACH UL restored pair of Mid-Century-Modern sconces complete with shades and T-6 LED bulbs ...plus a small shipping charge.